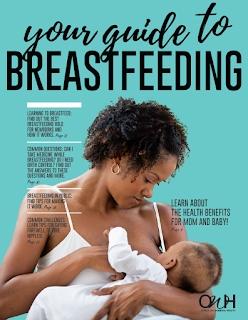 The U.S. Department of Health and Human Services' Office on Women's Health is offering a FREE copy of Your Guide To Breastfeeding. It explains why breastfeeding is best for baby, mom, and society and how loved ones can support a mother's decision to breastfeed. Expert tips and illustrations help new moms learn how to breastfeed comfortably and how to overcome common challenges. The wisdom of real moms is shared in personal stories that reassure and encourage. • Print copies of Your Guide to Breastfeeding by opening the PDF (2.2 MB) and using your own printer. • Download the ePub, free of charge, for your tablet, eReader, or smartphone from the U.S. Government Bookstore, Apple iBooks, Google Play, Barnes and Noble, and OverDrive.